As Executive Director of the WateReuse Association, I would like to respond to the article written by Brenda Adelman in the March edition of the Sonoma County Gazette regarding water reuse. I’d like first to clear up the misconception that tertiary treated recycled water is “liquid waste.” Recycled water is water that meets or exceeds the strict standards for health and safety established by the State Department of Public Health for water supply. Recycled water is considered to be a “valuable resource” by the California legislature that is safe for use and regarded as such by water managers throughout the country — the only “waste” that occurs is when recycled water is not put to good use. More than 10 million, or almost 1 of every 4, Californians is connected to a water system that uses recycled water as part of its water supply. Our water supply is a limited resource that we all share. With the growing pressures to provide sufficient water for human uses, aquatic life, and the environment, using recycled water for non-potable purposes saves precious potable or drinking water. Water reuse creates a reliable local source of water supply, which is essential to the health, safety and economic stability of any community. Putting recycled water to good use benefits the environment because less water is diverted from local waterways and pumped from aquifers, and the need to develop new water supply sources is reduced. All water is recycled and the use of recycled water is an integral component of sustainability for California and the planet. Nature has recycled water for millions of years. By emulating much of nature’s processes, water agencies are able to produce a sustainable water supply that can be used for many beneficial, purposes. Recycled water is wastewater that is cleaned through a very stringent process to produce high quality water that is safe for a variety of purposes, such as irrigation of parks, schoolyards, golf courses, residential and commercial landscaping and food crops. It is also frequently used in industrial processes (e.g., power stations, mines, pulp mills, and refineries). Recycled water is also permitted for use as a drinking water source once it has been treated and handled as required by State regulations. In 2009, the California State Water Resources Control Board (State Board), the agency responsible for setting water quality policy in the state, adopted a Recycled Water Policy to increase the use of recycled water in California. Like the legislature, the State Board strongly supports water reuse and has determined that, when used according to State regulations; recycled water is safe for approved uses. The California Department of Public Health shares this view. Trace amounts of pharmaceuticals and “hormone-mimicking” chemicals, referred to as Chemicals of Emerging Concern (CECs), have been found in all water supplies studied due to the abundant use in our society of pharmaceuticals and personal care products such as perfume and shampoo, and many other products such as food additives, pesticides and plastic bottles. In response, the State Board included a provision in the Recycled Water Policy requiring the establishment of a Blue Ribbon Science Advisory Panel to evaluate CECs in recycled water. Recycled water is continuously tested, monitored and regulated to ensure the water quality far exceeds safety standards established for its intended use. Nationwide, recycled water is used in thousands of locations, and has been used in California for irrigation purposes for more than 50 years and has been used for irrigation purposes in the Russian River watershed for over 30 years. In thousands of applications throughout the U.S., no documented illness has resulted from the proper use of recycled water. In response to concerns about “incidental runoff” in Santa Rosa’s urban water reuse program, the City of Santa Rosa has an extensive training and monitoring program for the use of recycled water by its customers. 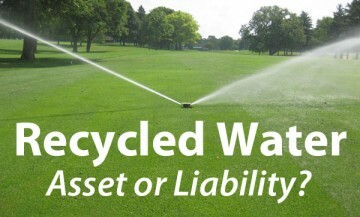 All recycled water users must assign a site supervisor to oversee the program, and sign an agreement that they will operate their irrigation systems according to the rules and regulations of the City’s permit. City staff monitors the system frequently and, if significant runoff occurs, the customer is notified and required to correct the problem. The State Board, Regional Water Quality Control Board, Department of Public Health and the Science Advisory Panel each recognize small amounts of runoff occurs incidental to good irrigation management and that incidental runoff of recycled water does not pose a threat to the environment or public health. Recycled water is a local, reliable water supply that offsets the need for developing new water supply sources and preserves limited potable water supply for humans and the environment. California and Sonoma County are semi-arid areas with limited supplies of potable water. It would be unwise and irresponsible not to take advantage of water reuse that can sustain potable water supplies. It is good to know that agencies in Sonoma County, such as the cities of Rohnert Park and Santa Rosa, the Town of Windsor, and the Water Agency are actively engaged in managing available water resources responsibly. The WateReuse Association is a nonprofit organization whose mission is to advance the beneficial and efficient use of water resources through education, sound science, and technology using reclamation, recycling, reuse and desalination for the benefit of our members, the public, and the environment.